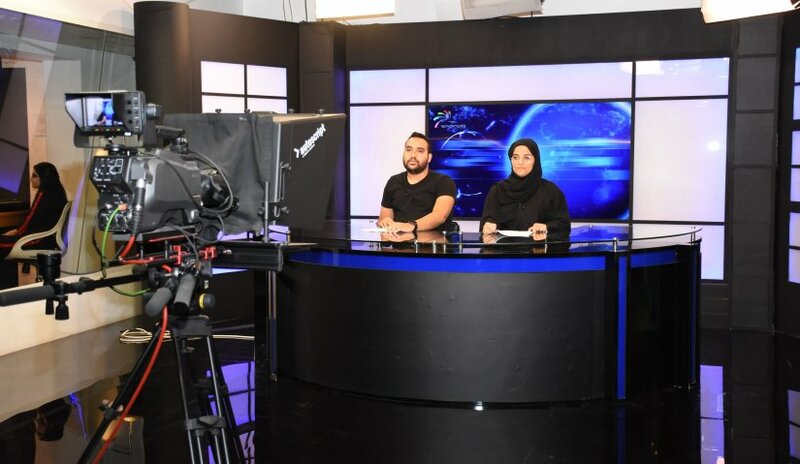 The Deanship of Student Affairs at Al Falah University organized a workshop for College of Mass Communication students to develop basic media skills and to provide students with practical experience in using the various studio equipment. Dr. Samer Abdelhadi, Dean of Student Affairs, Prof. Nasr Abbas, Dr. Rene Aboukhaza and Dr. Robin Kabha from the College of Mass Communication attended the workshop. The workshop included identifying top of the line media equipment, familiarizing with the different parts of a production room and specialized studio and proper and correct bearing while in front of the camera.